This is a continuing work. What I have on this web page is a court file in electronic format. With the EC2004 project rapidly approaching I think it best for all to get involved in computerized case management. I believe that if we don't lead the way into the computer age of the judiciary we will surely follow. If we follow the courts and the legislation will defintely create more of what they already have created with the computer being used as the authority with out questioning the authenticity of information reduced to a hard drive. 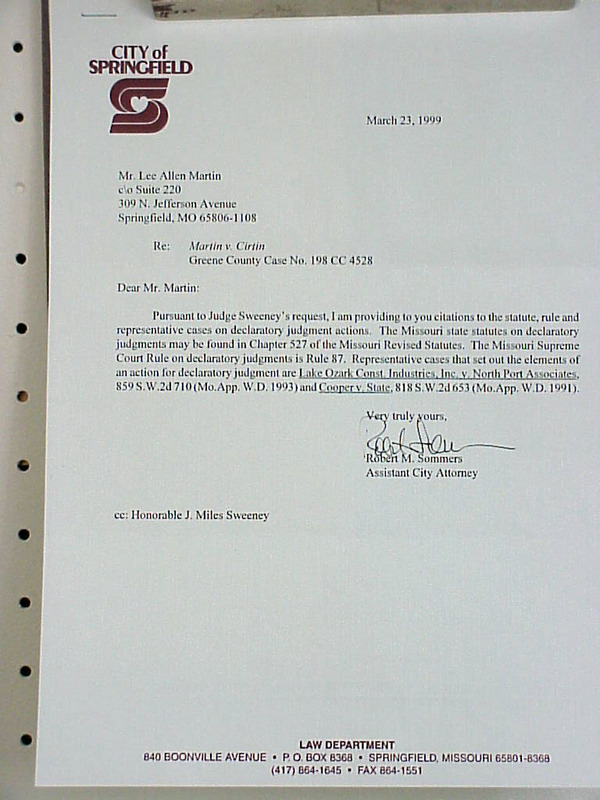 This Case is to open public records. it is in the reverse chronological order. I hope it will be of help to you. Addendum to the Index of the Standard Operating Guidelines there is more than what was originally sent and here they are. 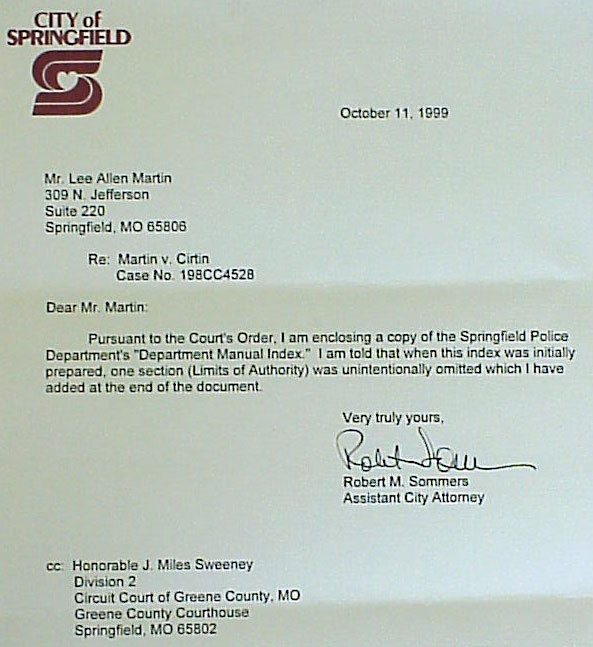 Letter of September 22, 1999 I don't like it but it is better than nothing. 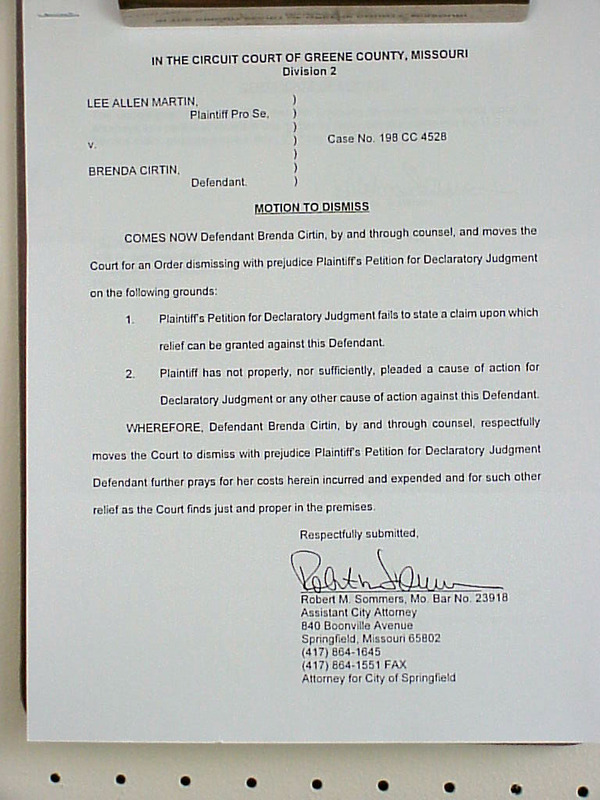 The Judge rules that what the City attorney has admitted to the City must live by. He still is inclined to let governmental bodies redact records that the public has paid for. Our civil servents being incompetent in the performance of the duties has now become more revenue for government. No wonder only idiots work in the public sector. NO wonder public education fails, because only dumb people should work for the government, after all we the people should pay for these government employees to do their jobs, badly. 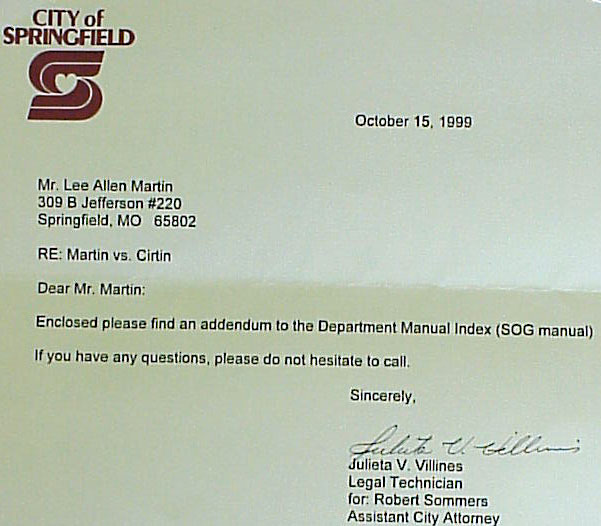 Defendant's Motion to Dismiss City of Springfield Missouri's attempt to avoid the Sunshine Law, Now I know where the sun does shine! My rear.